The profound doctor-patient relationship forms an integral part of effective healthcare. As technology facilitated the transition from paper-based health records to electronic health records (EHRs), it made a mark on patient engagement. 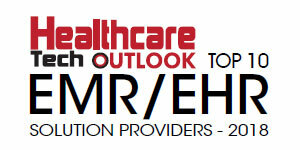 Although, EHRs provide a myriad of benefits for patient care, they do have a flip side. Physicians spend an excessive amount of time logging voluminous patient information on EHRs resulting in fewer patients serviced per day. As they simultaneously try to communicate with a patient with their eyes glued to the computer, innumerable clinical errors tend to creep in and the purpose of a patient-centered approach is lost. Undoubtedly, patients feel that the quality of healthcare has been compromised seeing a decrease in their consultation time with the doctor. “With the key purpose of improving the deteriorating quality of the healthcare environment from the standpoint of doctors and patients, we present DocLinks, our state-of-the-art EHR designed intuitively for the physician’s workflow,” says Kale L. Meese, COO of Lin Software. In a market thriving with competing EHRs, DocLinks brings forward manifold advantages to healthcare providers. Amongst others, the key differentiator is the solution’s ability to bring the abnormal results to the fore empowering doctors with relevant analysis for tailoring the most appropriate treatment plans, ultimately advancing their decision-making process. For instance, if a patient has renal insufficiency and kidney function tests are abnormal, DocLinks will show the provider if the function is worse or better than what it was six months ago. Communication across systems is a core necessity, which Lin Software allows by offering interoperability among providers whereby different medical groups can legally exchange medical information on mutual patients. In addition, DocLinks performs comprehensive analysis of the patient’s medications—assessed from different sources—ahead of time and displays pertinent results automatically on the screen. The company’s EHR implementation, which is a six-week step-by-step approach, involves a discussion between the team at Lin Software and the providers on how to streamline their current workflow using DocLinks’ fully integrated online modules. As very much of a concierge practice, the company assigns two project managers to monitor every installation. They analyze the client’s usage of DocLinks and understand the end user experience to customize and improve the workflow. Along the same vein, Lin Software has frequent conversations with their customer even years after their subscription to the company. “What sets us ahead of the competition is that we’re not selling but partnering with the client with regard to not just EHR but entire operation of the office and the infrastructure,” says Kale. For an interactive office environment, the company provisions tablet computers in the exam room so that the provider always faces the patient, boosting patient-doctor communication. In an implementation highlight, Lin Software helped a client to meet their annual reporting requirements that enabled them to achieve medical home status. Within a year of achieving that status, the client gained recognition as a national leader in that field. In the past 12 months, among several other projects, the company has introduced a suite of mobile applications that are integrated with DocLinks. Lin Software has recently completed a different server base installation of Healthwind that is one of the most widely used practice management systems in the Northwest. Based in Washington for more than two decades, Lin Software has been mainly involved in improving the state’s quality of medical care. With newly developed internal systems, the company is now poised to provide consistent high-level support in other states tantamount to their eminent standards of delivering quality healthcare.